Two Swedes and a Swiss pose under a fully purple and orange sky. If this doesn't drive home my point about Asian sunsets, then I don't know what else will. On this particular occasion, the sky fully enveloped us in purple and orange bands to the 'oo's and 'ah's of the gawking crowd. 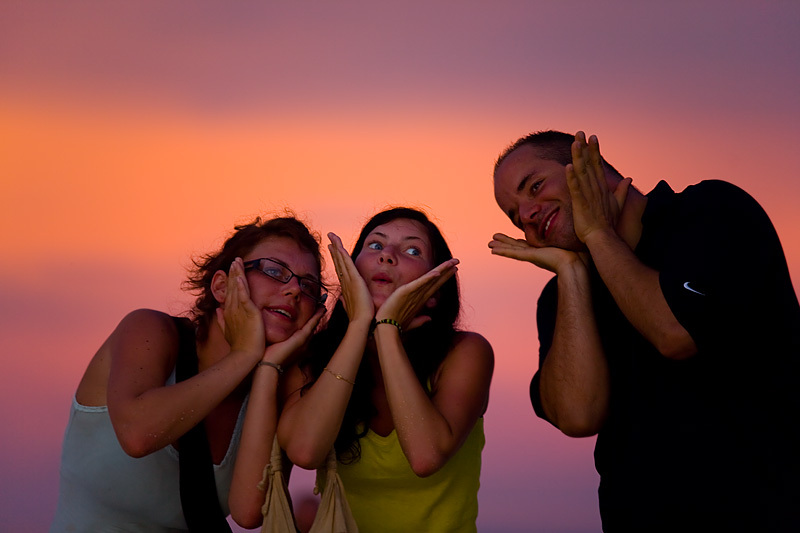 By sheer chance, I had my camera with me to capture my travel friends posing silly for me. The sunset at low tide near Mountain Resort. This was the scene minutes before the previous photo. Fairly average sunset if you ask me but who would've thought waiting it out would allow the sky to be fully draped in a soft sea of color. Funny enough, we would've left with the drooling crowds had we not been searching for a set of missing keys in the sand. That was the "key" to this amazing sunset, I guess. 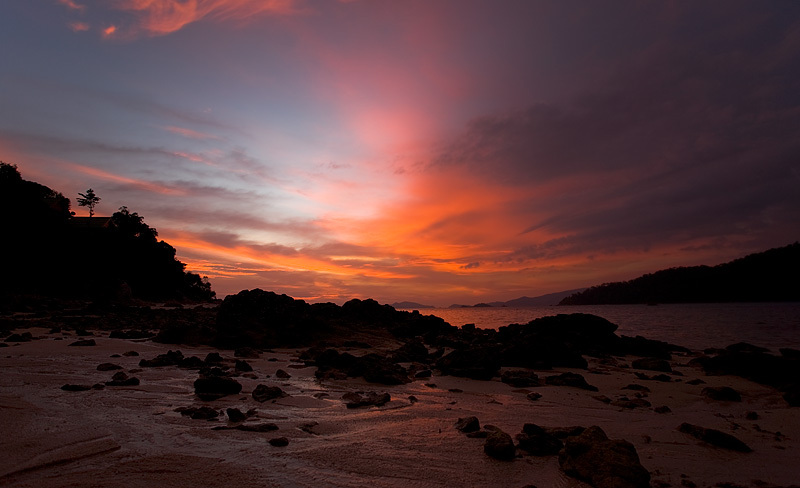 Not an average sunset, only that you've on Lipe too long.